TransDEM 2.6 has been released. Version 2.6 brings full compatibility with T:ANE including SP1. New DEM merge function “Fill up” to better combine high and low resolution data. More flexible map tile server configuration, to allow an arbitrary number of servers per provider and overlapping requests. Supports HTTPS for WMS (on Windows 7 and up). ”Snap to nearest” function in Simple Route Editor for easy sketching of junctions. TransDEM Trainz Edition is a helper tool for building prototypical routes in Trainz. 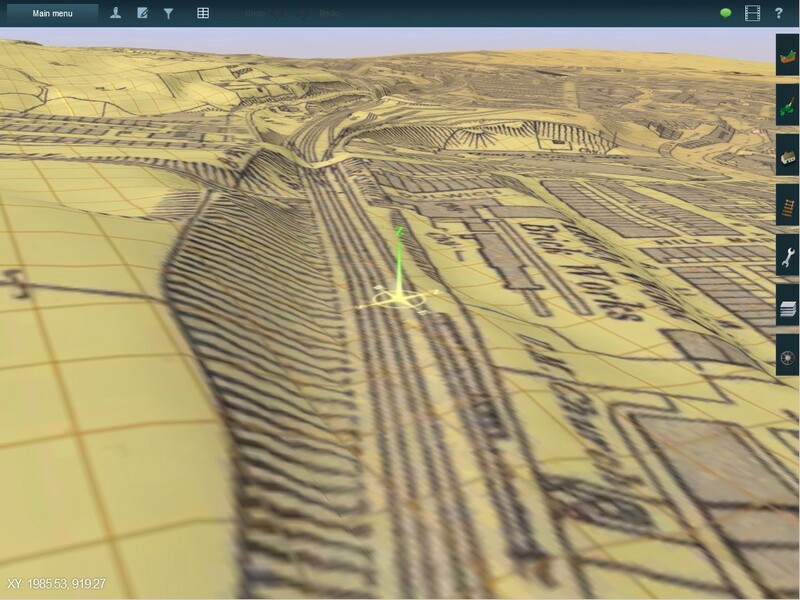 It processes geo-data, in particular DEMs (Digital Elevation Model = height data) and cartographic map images and creates Trainz terrain from it. New Users: How much does it cost? TransDEM Trainz Edition is Payware. The fee for a personal non-commercial license is €23.90 including applicable VAT and PayPal fees. New Users: How can it be ordered? You can order TransDEM or request more information with a simple email: info@rolandziegler.de. I will send you an info letter with further details of the purchasing and downloading process. When ordering please indicate your full name and address. There will be a free update for current TransDEM users who purchased their license within the last 12 months. These users should receive an email from me with further details within the next couple of days. All other users can obtain an upgrade license for a fee of €8.90, including applicable VAT and PayPal charges. Please email me at info@rolandziegler.de if you are interested, including enough information to find you in my database: your full name and current address plus original order ID. Updated TransDEM configuration samples for WMS and map tiles can be downloaded here (without any warranty!). What kind of features does TransDEM offer? 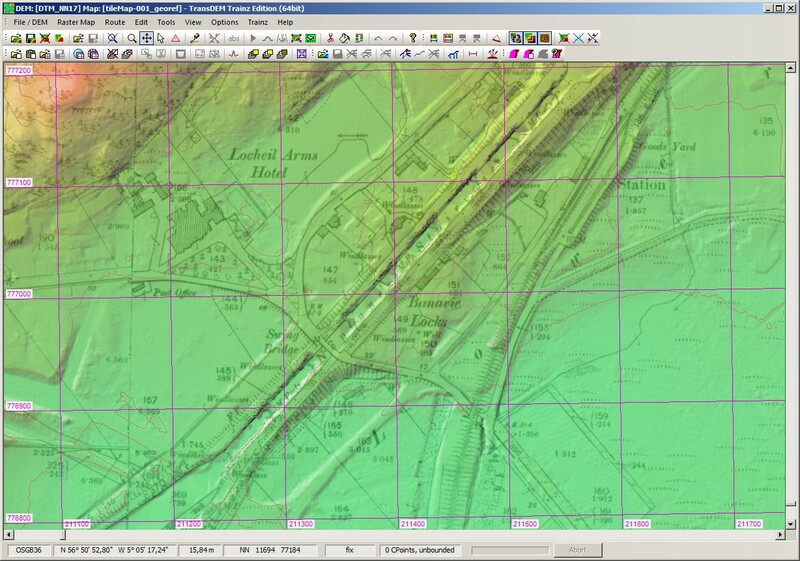 Direct support for SRTM 3 and 1 arc sec, USGS NED and ASTER GDEM (GeoTIFF), Canadian CDED DEMs, various ESRI formats and ERDAS Imagine, many including projected coordinate systems, plus MicroDEM format for other DEM types. DEM Editing capabilities: adjustment of elevations (Triangulated Irregular Network algorithm - TIN), hole filling, smoothing, clipping, re-sampling, horizontal and vertical shifting, plus contour tracing for DEM refinement. DEM shading, DEM based contour lines to ease to enhance DEM visualisation. 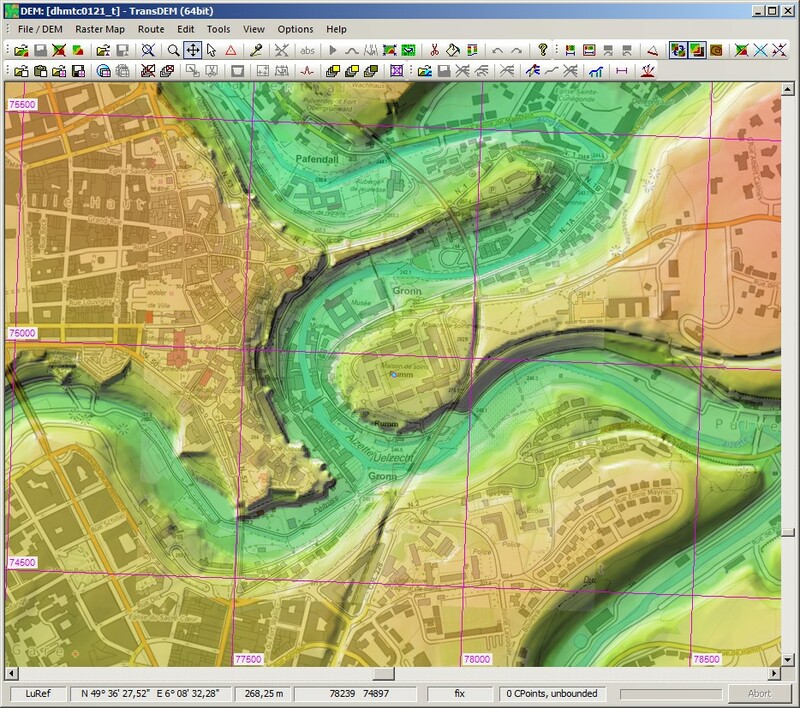 Georeferencing of topographic raster maps with coordinates, dedicated functions for easy-handling of this often error-prone task. 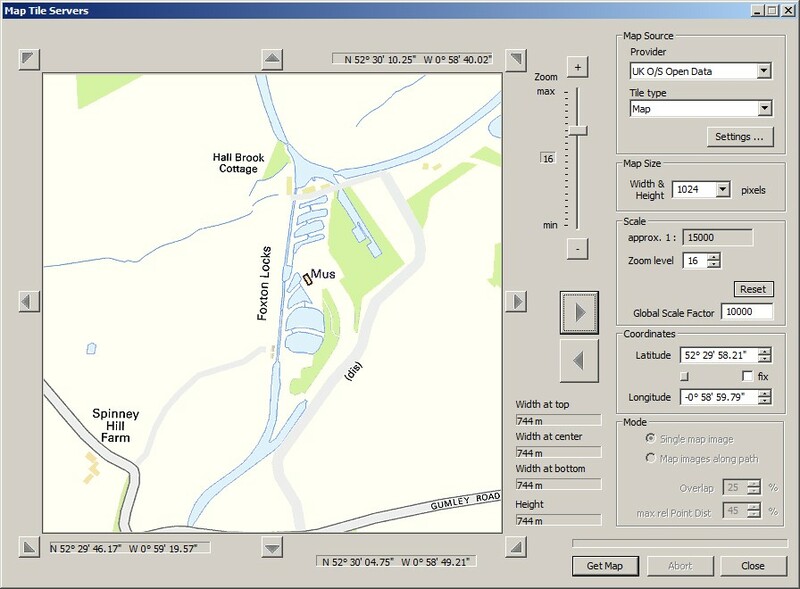 Easy-handling of maps from on-line geo-servers (conventional browser interface). Automatic georeferencing of GeoTIFF and GeoPDF images (GDAL required for GeoPDF). 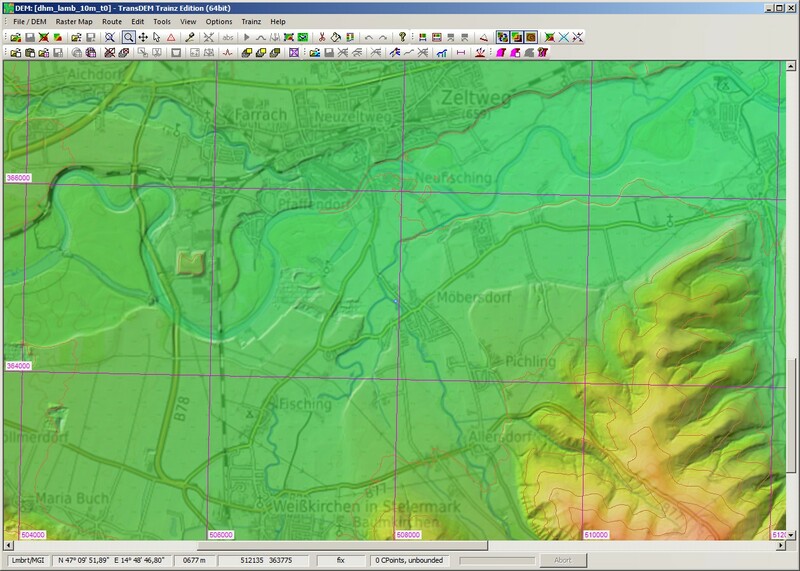 Function to create transparent margins to avoid occlusion with overlapping maps and plans. 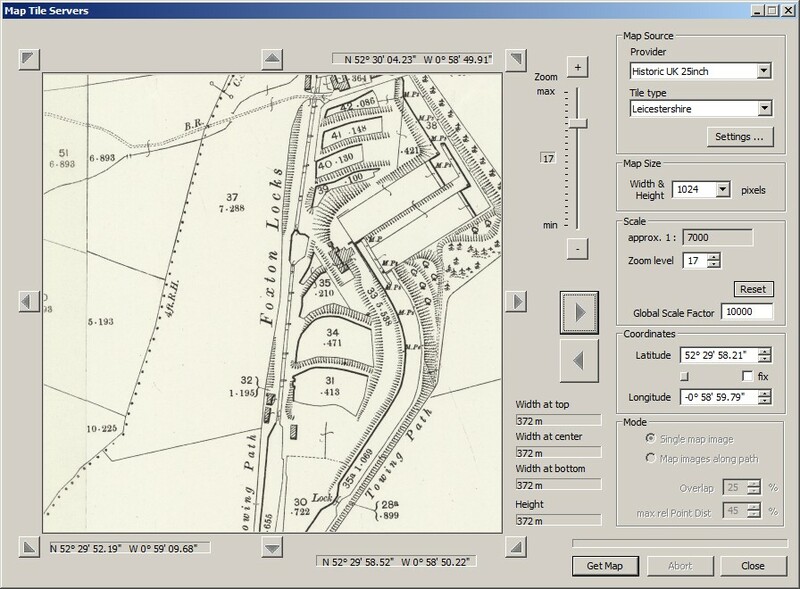 WMS client (“Web Mapping Services” standard) for automating the cartographic map image acquisition. 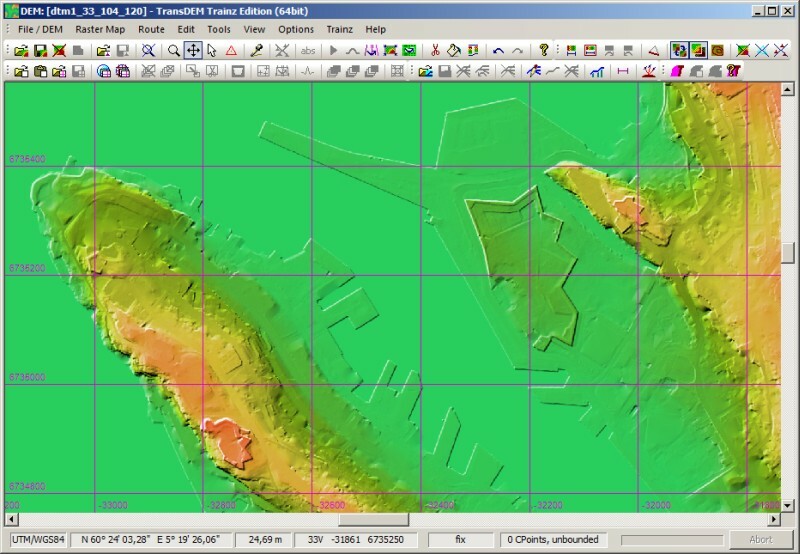 Map Tile client, similar to WMS client, for raster maps in Mercator projection and organised as a quadtree structure. 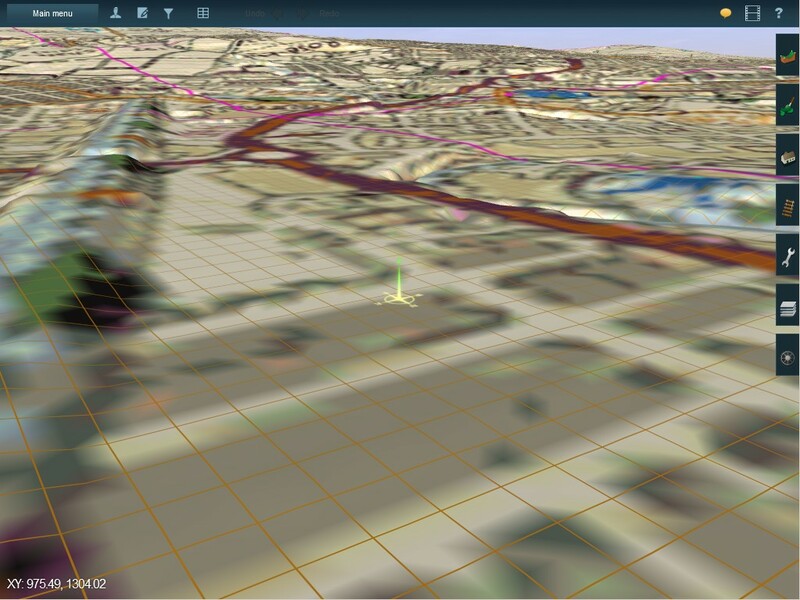 Examples are the (road-)map and orthophoto services by Google, Microsoft or Open Street Map. Semi-automatic georeferencing of Google Earth™ images, using “placemarks”. Support for UTM, geographic coordinates (lat/long) and a number of national coordinate systems in use in North America, Europe, Australia and New Zealand. Vector overlays and polyline editor, read and write support for various file formats, shp, dxf, kml/kmz and others. Data exchange with GPS devices via .gpx data. 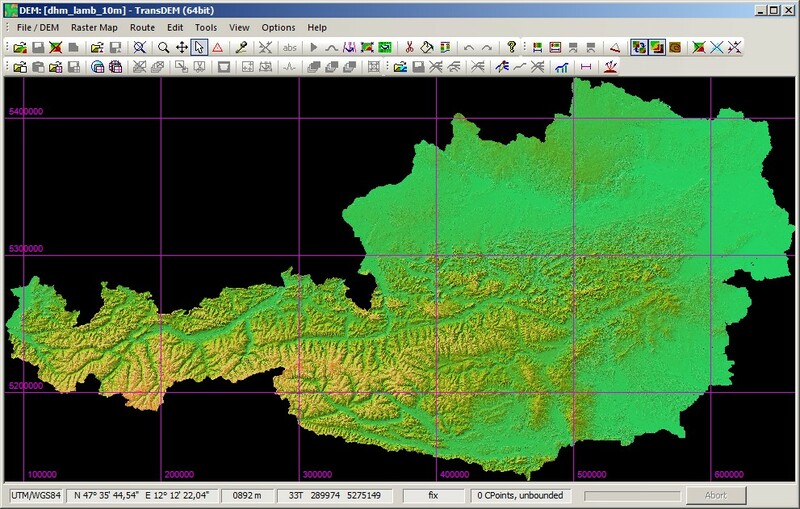 Import conversion for data in national coordinate systems. Direct creation of all files making a Trainz route map. Fully compatible with all versions of Trainz from TRS2004 to T:ANE. Baseboard alignment with the UTM grid. Allows for a modular route building approach. 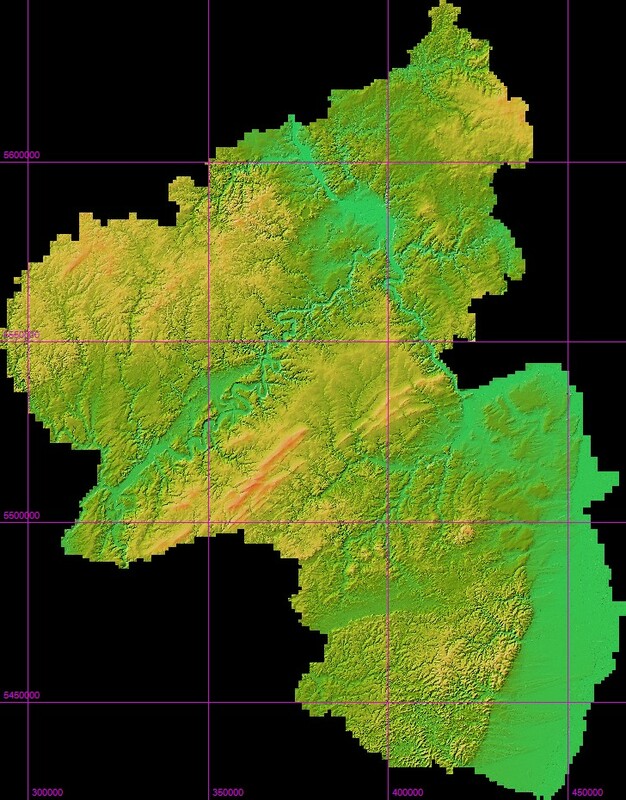 Ground texture and minimap based on raster map (limited resolution). Optional 5m grid for TS2009 and above. Support for custom ground texture set, including removal. Custom textures for ortho-imagery included. Automatic placement of UTM tiles (2D or 3D texture carrier objects with higher raster map or orthophoto resolution), 1000m and 500m. 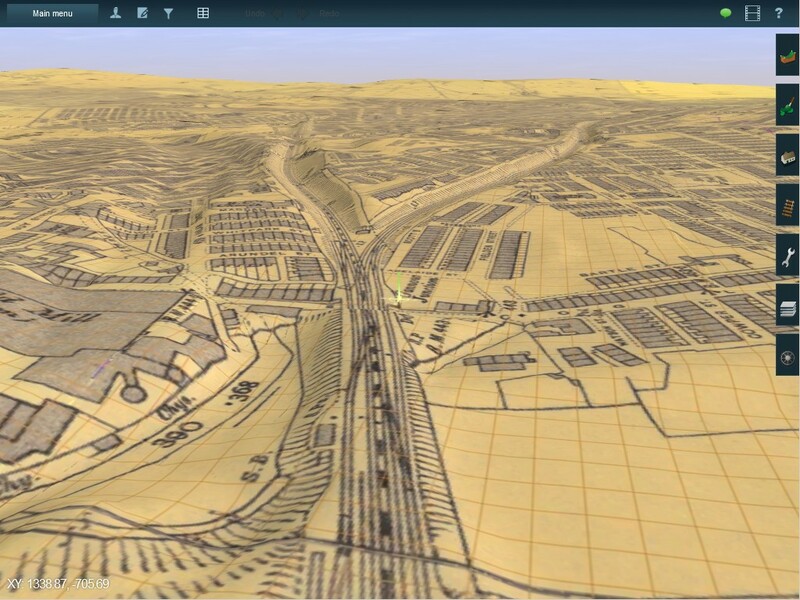 3D tiles require N3V Trainz Mesh Importer. 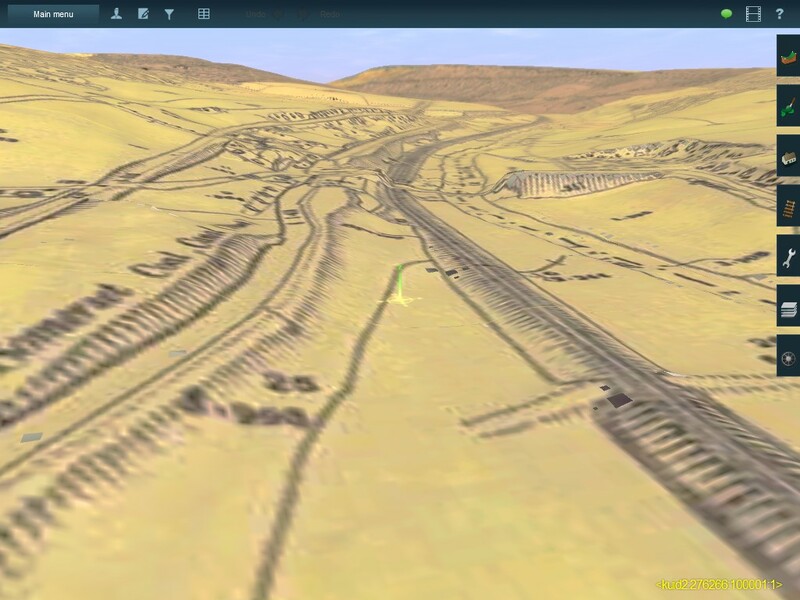 Direct creation of Trainz spline objects from 2D and 3D vector data, allows to “lay track” in TransDEM. Usage of the Trainz World Origin object for maintaining an absolute coordinate reference which allows adding of UTM tiles or spline objects at a later stage. Lowering or raising a conventionally built Trainz route to merge it it with a DEM based route. Import: Live track log option for GPS devices via NMEA1083 protocol to record GPS positions as vector data, COM or USB (USB needs 3rd party converter). 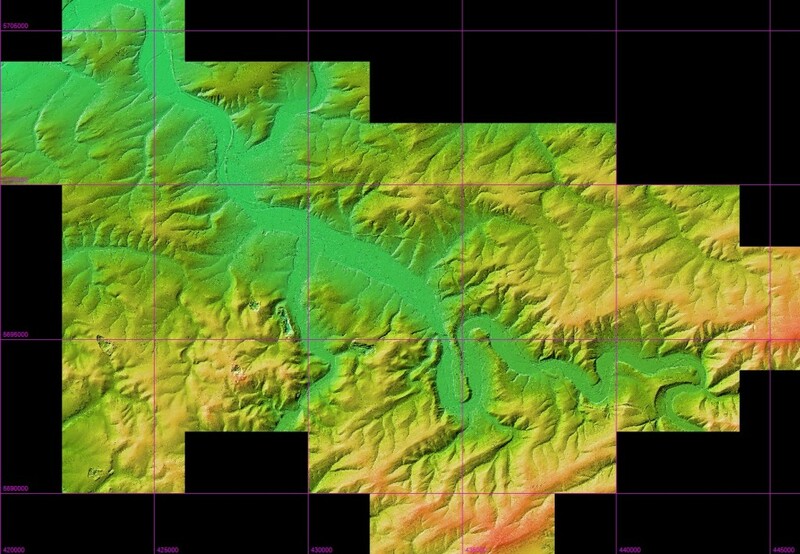 Export: Option to save georeferenced raster maps as a .kmz package with geographic coordinates and automatic tiling for Garmin® GPS devices (and Google Earth™). TransDEM comes with extensive English documentation in pdf format, about 280 pages in two manuals. Tutorials make up a major part. They cover various aspects of TransDEM's capabilities including the mainstream functions of generating terrain for Trainz quickly. Recommend hardware: Quad-core CPU. 8GB of main memory for 64bit, 4GB for 32bit. 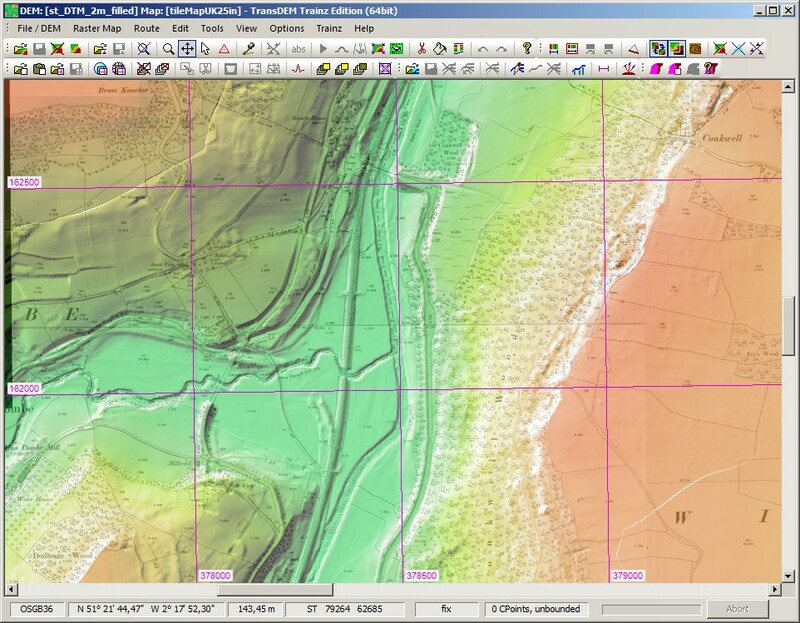 This example combines high resolution 2m DEM data (LIDAR) with the historic Ordnance Survey large scale 25 inch map (1:2500). We are looking at the River Avon valley in Somerset/Wiltshire between Bath and Bradford. 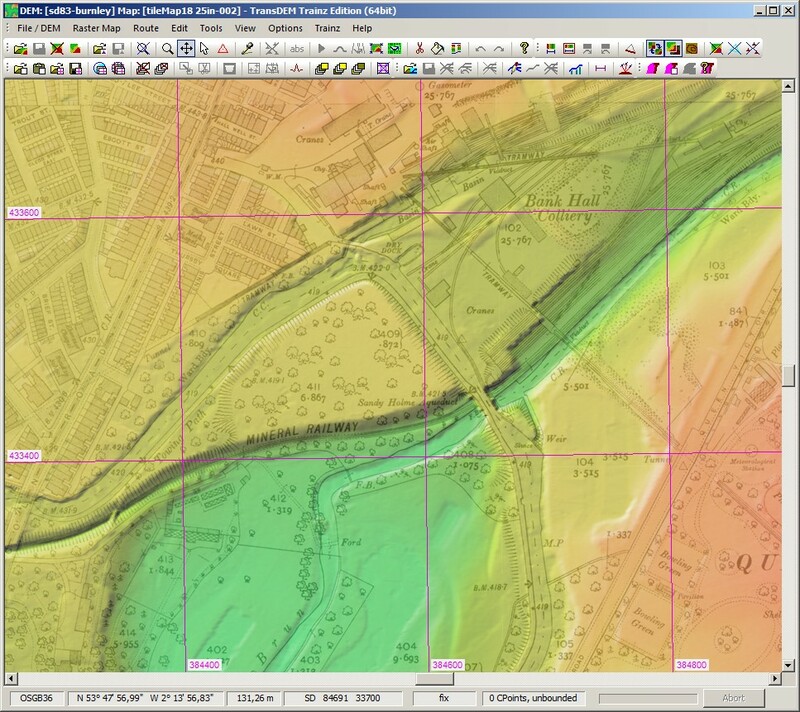 The new free 2m LIDAR DEM (Environment Agency) is complemented with 50m data, using the new “Fill up” function. Railway, canal, river and roads can be clearly distinguished. Overlaid with the historic 25inch map, acquired with overlapping requests from two server addresses. 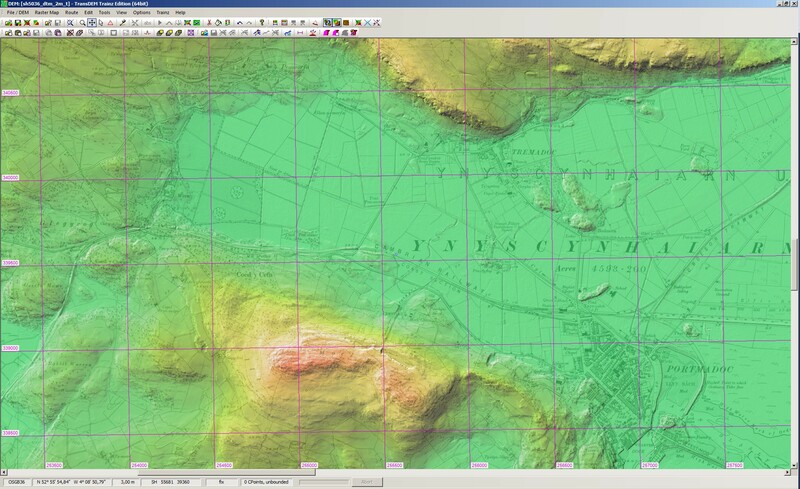 Initial total view in T:ANE Surveyor, historic 1:25,000 O/S map used for ground texturing. Brenner route in South Tyrol. 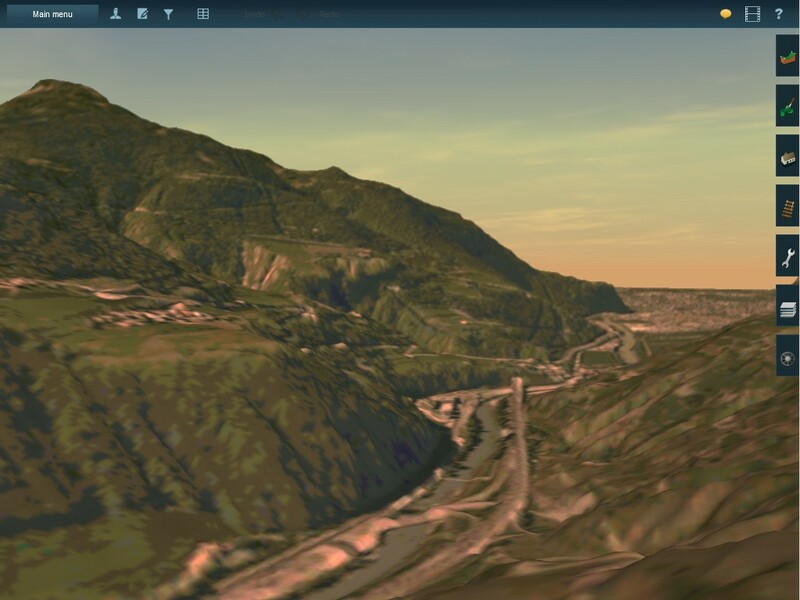 2.5m DEM, re-sampled for Trainz to 5m, with TransDEM orthoimage ground texturing. Larger viewing distance in T:ANE, but still below 15000m. No editing in Surveyor at all. A TransDEM update is available on my homepage. The new version is 2.6.0.1. This update is free for all TransDEM 2.6 users. 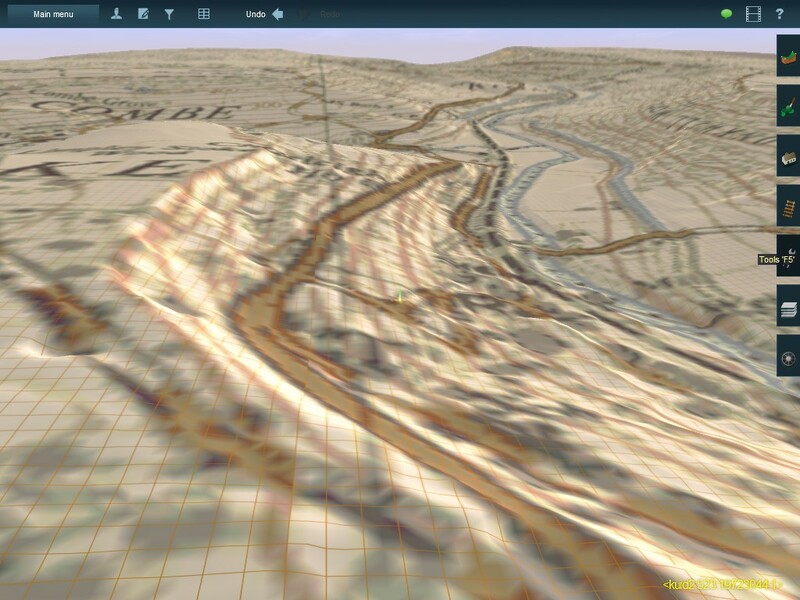 It addresses a single issue, georeferencing with Google Earth placemarks. I tweaked the placemark processing somewhat for 2.6. Unfortunately a new bug found its way in, preventing placemark georeferencing altogether in most cases. It should be fixed now. The problem was reported by TransDEM users, thanks a lot. Another TransDEM update is available on my homepage. The new version is 2.6.0.2. When a WMS offers version 1.3, but does not completely fulfil the promise, manual overriding the version in TransDEM may have had no effect. In the Subrange dialog which TransDEM opens when loading a huge DEM, the dialog now takes into account the limited address range for a single DEM. A zoom setting in the map tile client could go wrong and crash TransDEM the next time the map tile client was opened. Such an erroneous setting will now be intercepted. I would like to mention again that TransDEM 2.6 comes with a crash dump function. In the (rare) event of a fatal error, such a crash dump can help me to locate the cause of the problem. The zoom setting issue was found that way. Support for certain map tile services, e.g. Google and Microsoft Bing, that require an API key for access. See here for some background information. The Google service will bring back Google Maps ortho-images, the automatic alternative to the semi-manual procedure with Google Earth. 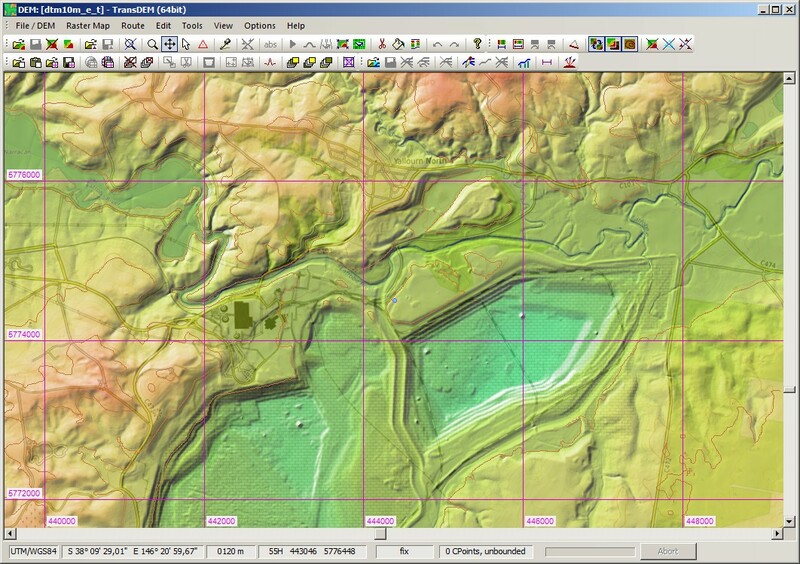 The Microsoft service will bring back UK Ordnance Survey 1:50,000 "Landranger" and 1:25,000 "Explorer" topographic maps. The latest edition of the preconfigured map tile sample settings has all the necessary parameters to get these services running. Please note: Keys are not provided. Visit the tutorial section for instructions how to obtain such keys. A few additional message boxes have been added when closing map images or DEMs and there is unsaved vector data, hopefully the last loopholes here. Again, many thanks to the users who made these suggestions. Google and Microsoft Bing services for API keys. More English counties for the historical 25 inch (1:2500) Ordnance Survey map, digitized by the National Library of Scotland. 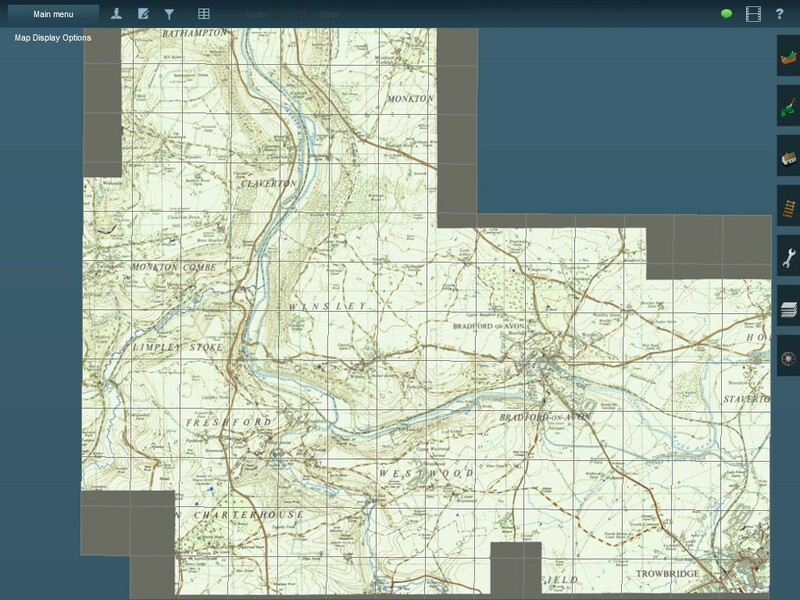 Ordnance Survey "Open Data" map tiles, again provided by the National Library of Scotland. OpenTopoMap and OpenStreetMap.de, as previously pictured in the forums, now integrated into the list. Here are a couple of screenshots with new and rediscovered map/image sources with a motif from my other hobby, the predecessor of railways: canals. 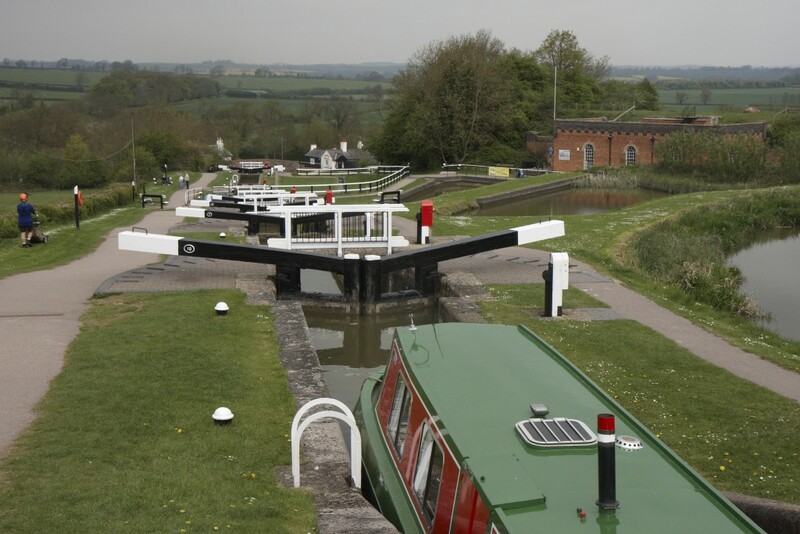 The location is Foxton Locks, near Market Harborough, Leicestershire, England. 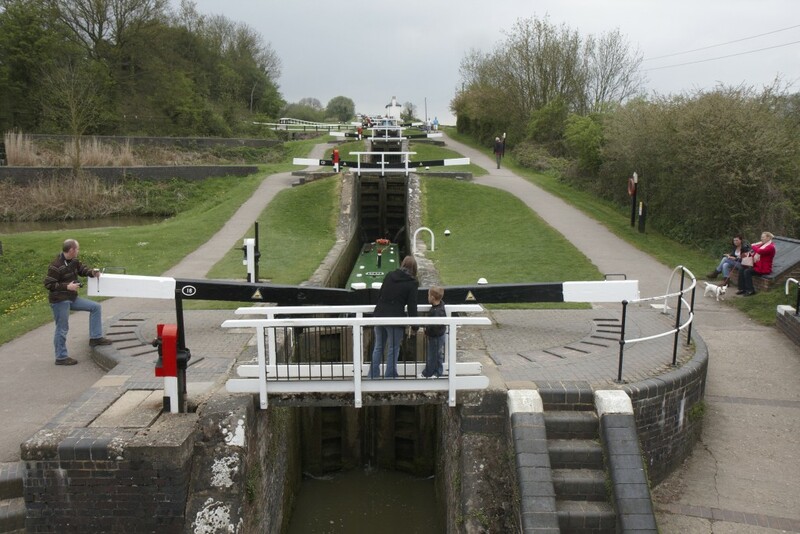 Foxton Locks is one of the engineering marvels of English canal history, built 200 years ago. It comprises ten locks, split into two "Staircases" of five chambers each. It's not only enjoyed by boaters but also an attraction for normal tourists ("Gongoozlers"). Foxton may not be as impressive as the Bingley Five Rise or as daunting as Caen Hill, but nonetheless a lovely gem in the canal network. Now the over 100 year old 25 inch map, zoom level 17. Leicestershire was added only recently, thanks to the work of the people at the NLS. At that time the locks were not operational, instead traffic used the inclined plane, visible to the right. 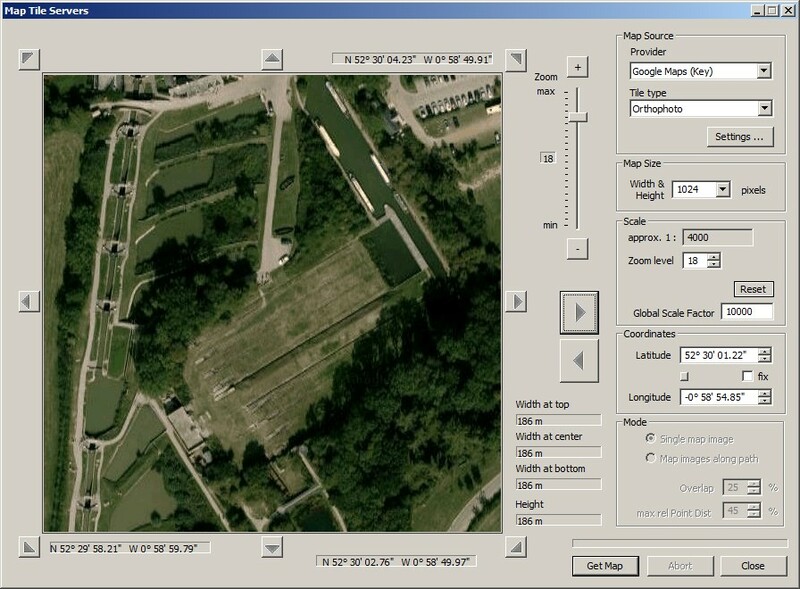 At zoom level 18 the recaptured Google Maps ortho-images (API key). We see the lower locks, the side ponds, acting as reservoir for lock water management, and the remains of the inclined plane, now part of the museum. What I find fascinating is the exact match of that 100 year old cartography with the modern day map and ortho-photo. 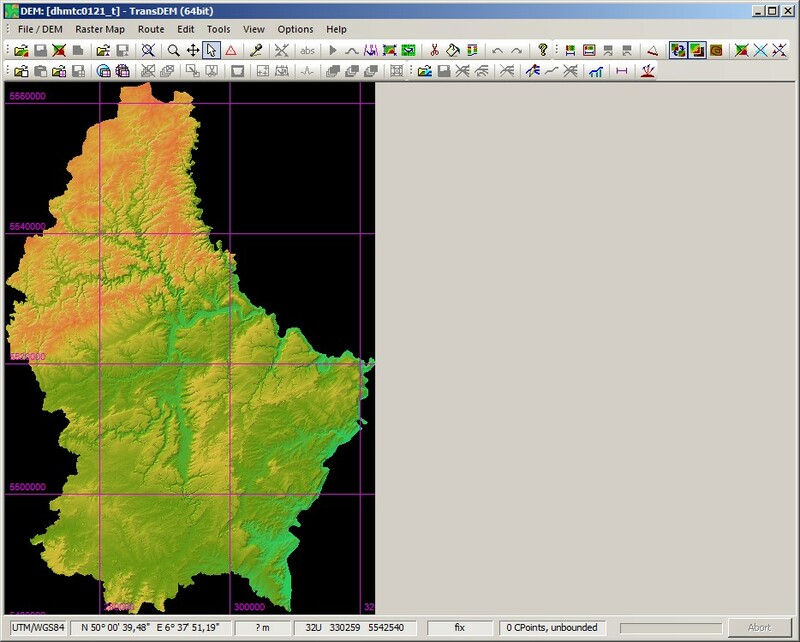 TransDEM 2.6.2 enhancements concentrate on DEM data processing and new DEM data resources. Most of the new DEM resources were pointed out to me by TransDEM users. Thanks a lot for the feedback. New internal structure for DEM data which allows unlimited DEM size on 64bit and slightly better memory usage on 32bit, Makes it possible to open very large DEMs on 64bit without defining subranges, if sufficient physical memory is installed. Optimized memory usage for DEM data processing when reading non-native DEM file formats, compacting and saving DEMs. Allows larger DEMs on 32bit. xyz import, multiple file selection no longer limited to very small number of files. 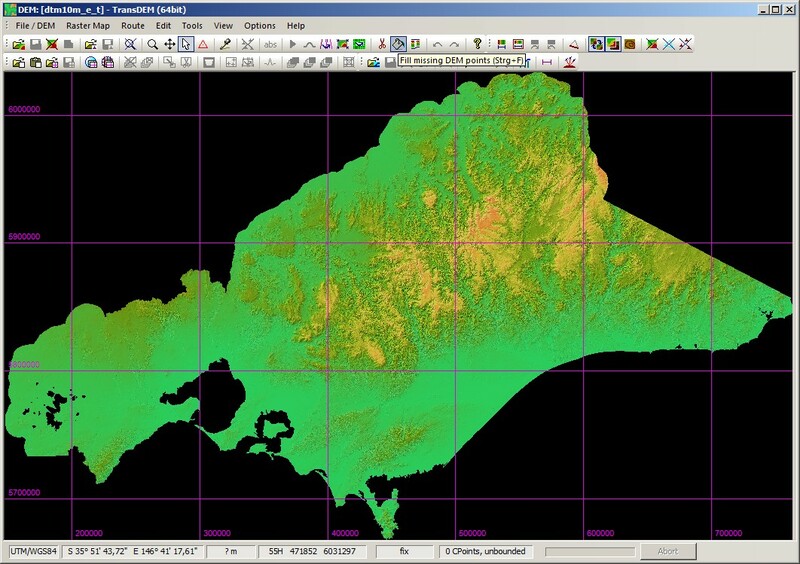 GeoTIFF DEM reader supports all projected coordinate systems known in TransDEM. GeoTIFF DEM reader supports zip compression (in addition to LZW). 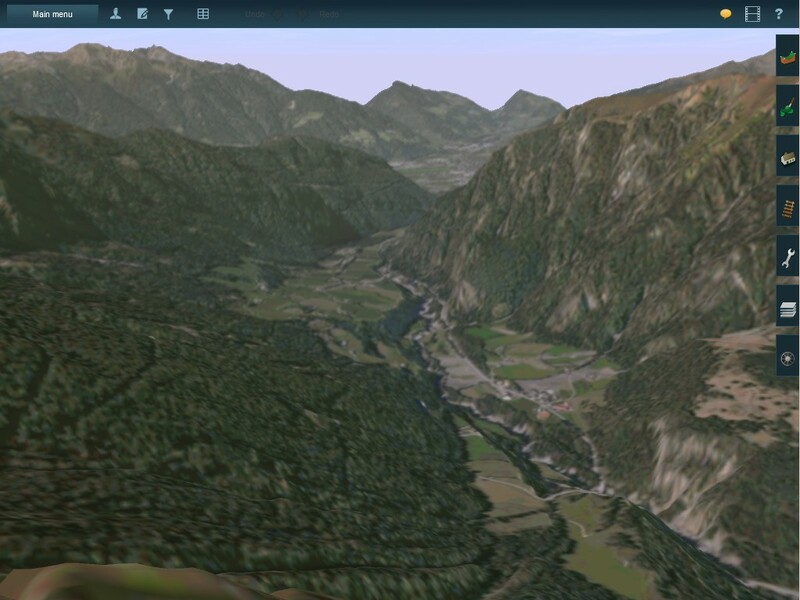 GeoTIFF DEM writer now writes TIFF tiles and applies LZW compression (more efficient for larger DEMs). ERDAS Imagine reader supports spacing in metres (projected coordinate systems). ESRI Bin Grid (AIGrid) reader now correctly addresses multiple tiles. 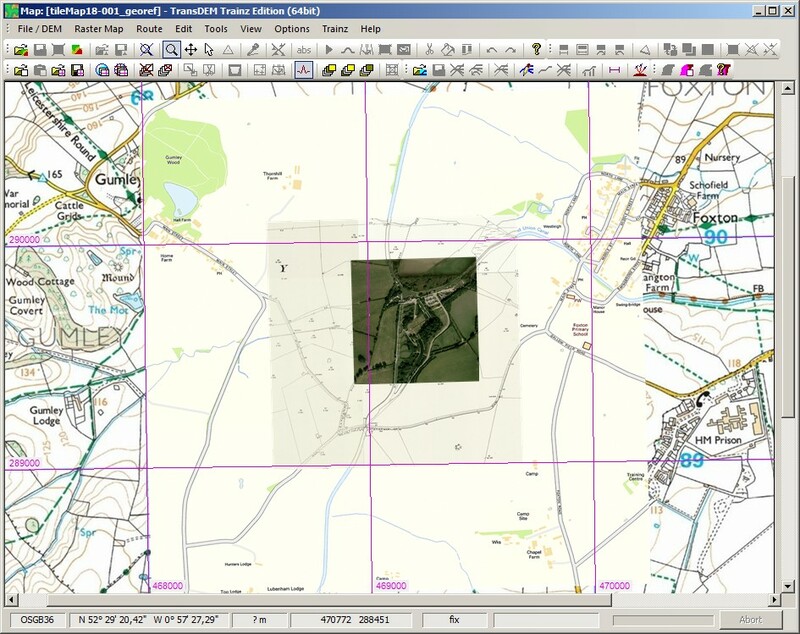 ESRI Bin Grid (AIGrid) reader allows for missing tiles and blocks. Support for vertical measurement units (elevation) other than metre for some DEM file formats. DEM subrange can now also be defined as percentage in addition existing coordinate selection when opening large DEMs. Parallel loops are now executed with slightly lower thread priority to improve Desktop responsiveness. 64bit variant for Zusi 3. Some minor enhancements and a memory leak fix. A few images to illustrate the new DEM data resources unlocked with TransDEM 2.6.2. Both the TransDEM WMS and the map tile client use HTTP to communicate with the web server hosting the maps. In the HTTP response header a meta data entry normally tags the image with the the associated data format, like jpeg or png, the so-called MIME type. If a web server does not do that and instead marks the image as being generic binary data, TransDEM would not have recognized the data as an image. With the new version, TransDEM attempts to interpret the generic binary data as an image nonetheless and enumerates possible formats. This affects ortho-photos by Yandex. Thank you very much to the user who reported the problem. Support for Norwegian hi-res 1 metre LIDAR DEMs in both GeoTIFF and USGS DEM formats. When reducing DEM grid width, either explicitly or during export to Trainz, TransDEM no longer just re-samples the DEM but computes the arithmetic mean value of all source points related. This will produce a mathematically more correct and slightly smoother result, without the need for an additional filter pass. Thank you very much to the user who pointed out the Norwegian 1m DEM data source. Here is the next TransDEM patch. It will bring TransDEM to version 2.6.3. 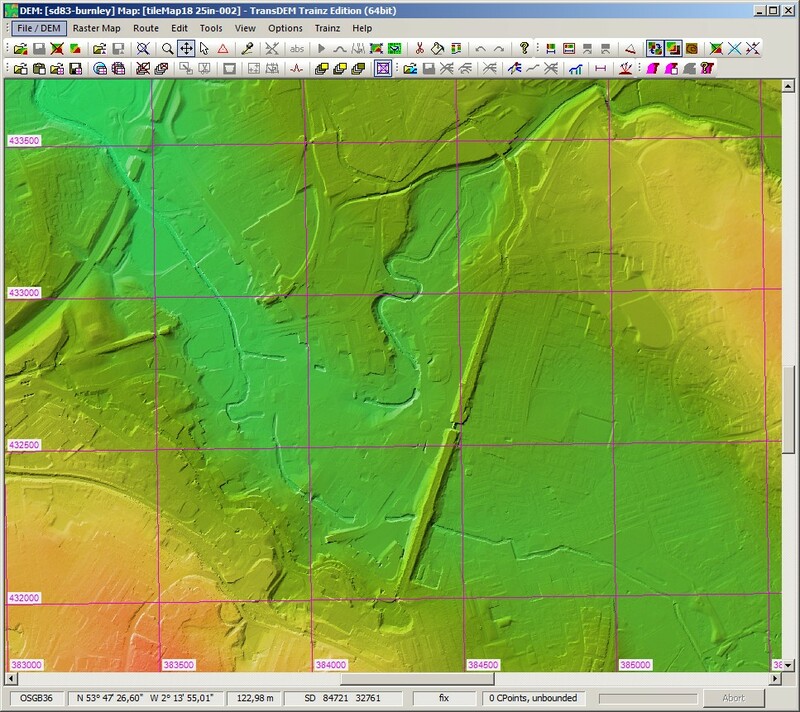 This time again, it's dedicated to DEM handling and the ever increasing variety of hi-res LIDAR-based terrain models. Visit my website to download. The update is free for all TransDEM 2.6 users. 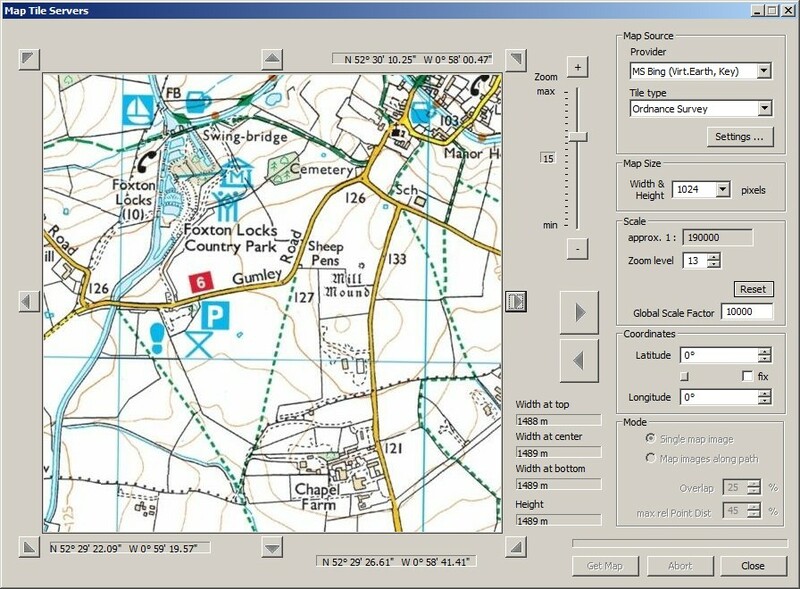 There is also a new version of WMS and map tile settings available for download. 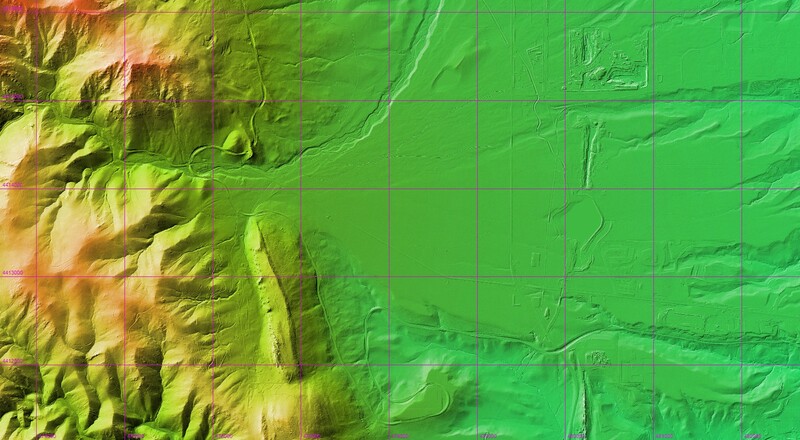 Of particular interest is the now nation-wide coverage, albeit partially incomplete, for the historic British O/S 25 inch product, the extraordinary large scale 1:2500 topographic map from a hundred years ago. Most DEM file formats now allow multiple file selection for opening. 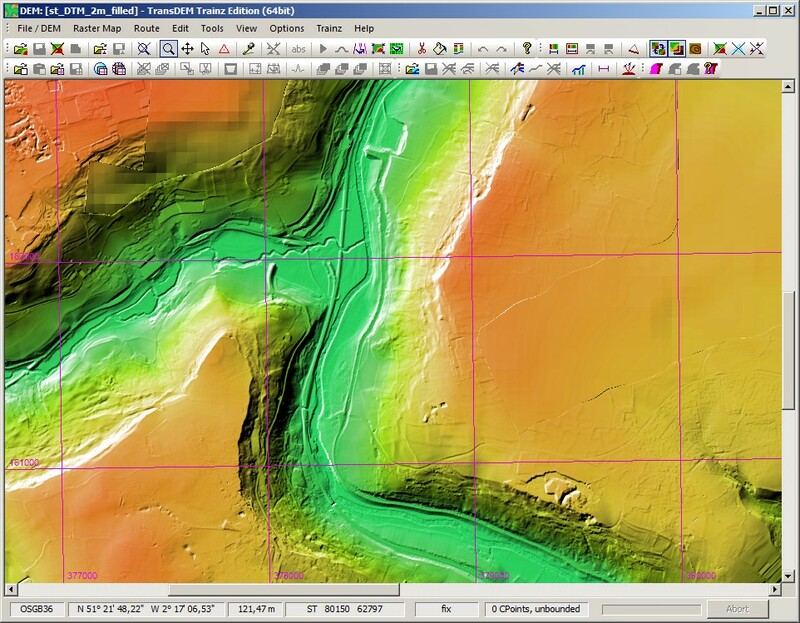 Particularly the second feature shall make life a lot easier when handling LIDAR data that is not in the XYZ form. Both features have more in common than it seems at first glance. To accommodate them I partly redesigned and unified the workflow for reading DEMs. The main difference between XYZ and other DEM formats is that for XYZ the total extent or the resolution of the DEM is not known until all data ave been read and processed, while for regular DEM that information is available a priori, either explicitly in meta data or implicitly from the file format convention (.i.e. .hgt). XYZ import in TransDEM always offered multiple file selection, albeit limited to only a handful of files until TransDEM 2.6.2 last year. XYZ files are often rather small, so combining more than one into a single read operation is more efficient. But other DEM sources these days are also distributed as series of relatively small files, particularly high resolution LIDAR data. The new DEM reading workflow now allows TransDEM to support multiple selection for most regular DEM file formats as well. And vice versa, the unified workflow lets XYZ benefit from the geo coordinate system handling for regular DEM file types, so XYZ is no longer limited to UTM or geographic WGS84 coordinates. Regular and XYZ DEM read/write actions will remain as separate menu commands, as the concept of the two types is different and has not changed, see above. Internally, the entire DEM read and write procedures for both regular and XYZ DEM types are now run in background worker threads, with intermediate input dialogue windows and message boxes synchronously brought forward to the main window thread. (In a graphical user interface environment, window handling itself is always single-threaded, independent of operating system and windows framework.) As a user you will notice the new background processing through a more responsive main window during DEM read and write operations, with additional progress bar activities and cancel options when reading multiple files. 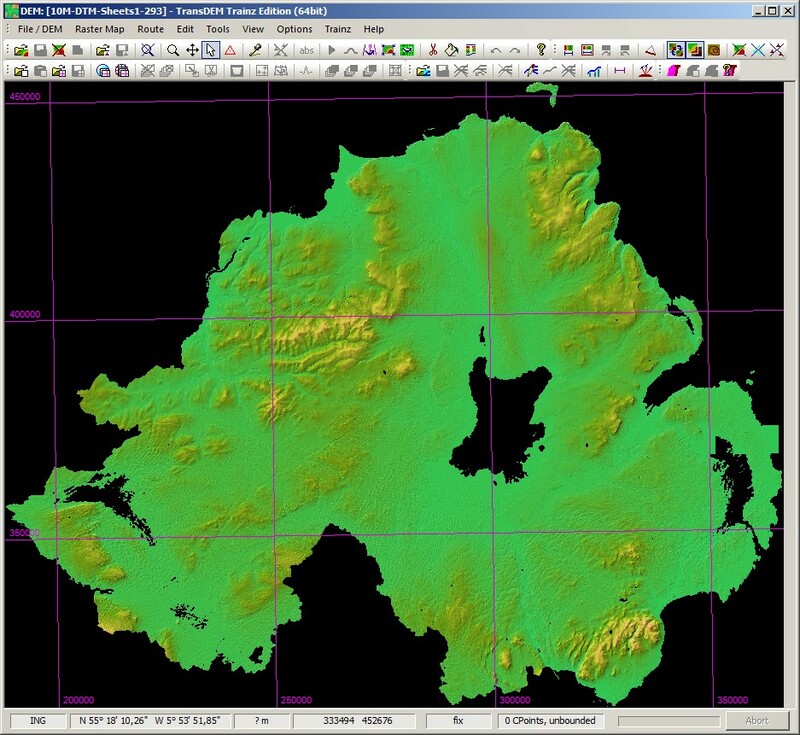 The screenshots hereafter shall illustrate the usefulness of the new features with the help of terrain data from various parts of the United Kingdom. We start with Northern Ireland. There is a 10m DEM avaibale from O/S NI Open Data, split into 293 individual files, grouped in packages of 50. The files are type .txt but are actually XYZ. TransDEM 2.6.3 has been enhanced to also accept .txt for XYZ. And these DEM files are in Irish National Grid (ING) coordinates which TransDEM 2.6.3 supports for XYZ. We visit Scotland next. 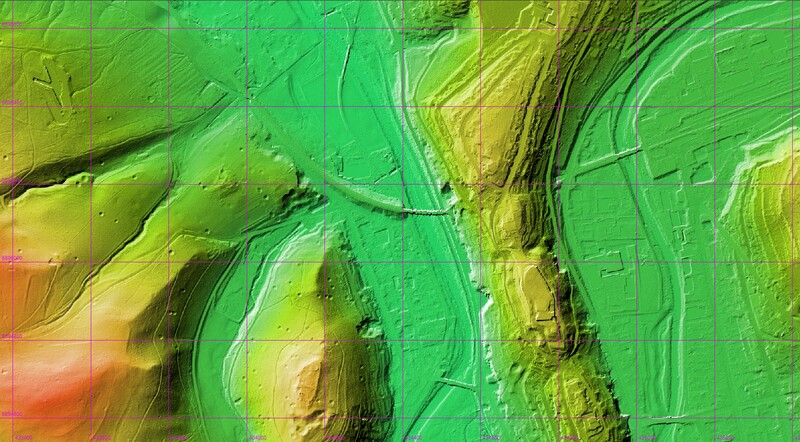 There is 2m LIDAR available for selected areas via data.gov.uk. It's either ESRI ASCII grid or GeoTIFF. The GeoTIFFs may have a non-standard "Invalid" point marker. TransDEM 2.6.3 addresses this. The example here is "Neptune's Staircase" on the Caledonian Canal near Fort William, here with a overlay by the 25inch historic map. Then we go to Wales. Again there is some 2m LIDAR, a bit hard to find on the Lle website. Files are ESRI ASCII grid, but coverage is limited again. It will often need complementation with some other DEM, typically O/S Terrain 50 as for this example in Porthmadog, with the historic 6inch map on top. 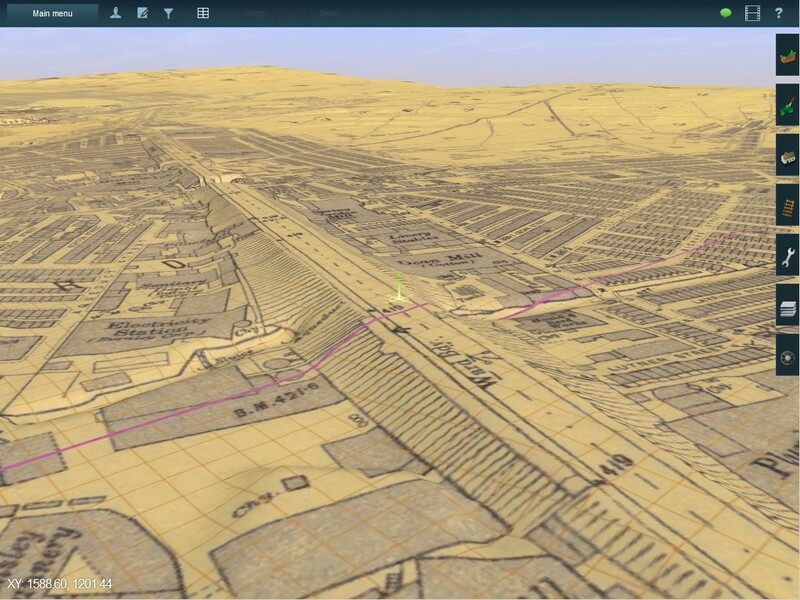 Burnley again, to the north of the "Embankment", with a 25 inch map overlay. The northern counties are a recent addition to the digitized 25 inch map series. Finally, a Burnley route in T:ANE. 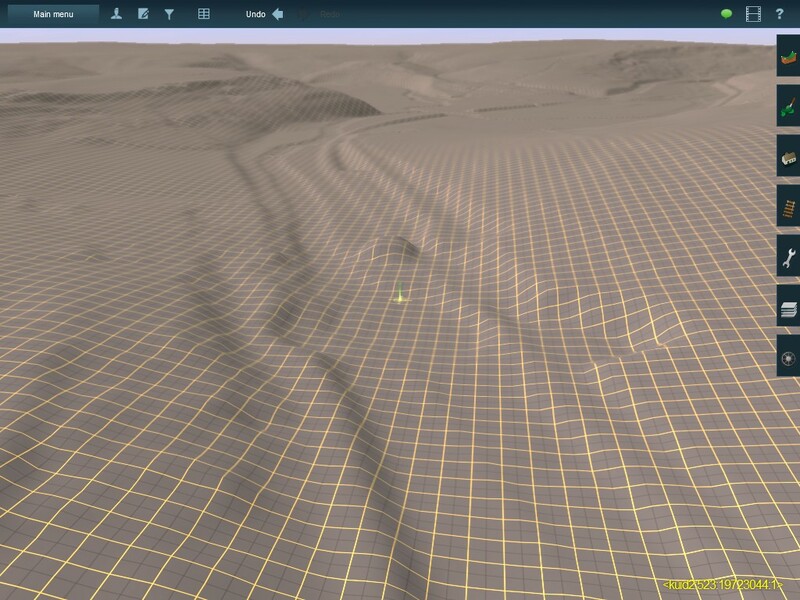 First here with ground textures and the modern 1:25,000 O/S map, acquired via Bing map tiles and an API key.